Welcome to DDT College of Medicine. Yet another year is beginning with exciting new developments for the medical education in Botswana and beyond. 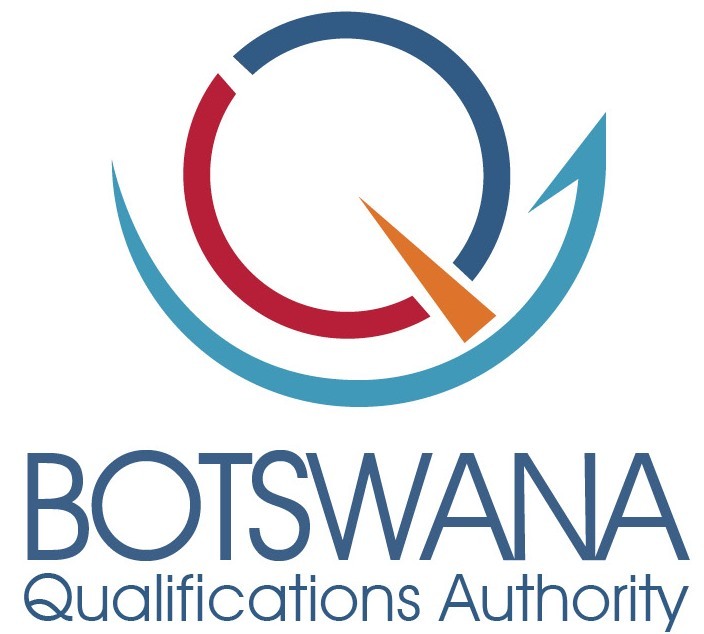 In no small way, with the developments in regulation in Botswana starting from the Human Resource Development Council (HRDC) as the overseeing Council, and its constituent body the Botswana Qualifications Authority (BQA), Botswana quality of education has taken a strong leap upward. Strategic direction of HRDC’s top 20 needed health professionals direct DDTCOM’s direction as well. Fortunately, all the programs that DDTCOM offers are amongst these top 20, showing the DDTCOM’s needs assessments were spot on, not just for the needs of Botswana, but for the globe as well. 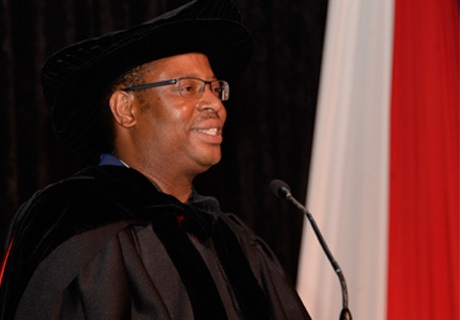 The attractability of Botswana as a place to study is continually being realized. A few of the sellable features of Botswana are: 1. Robust and transparent democracy 2. Peace 3. Good Governance 4. Well managed and stable economy 5. People friendliness and love of fellow mankind (Botho) 6. A unique tourism sector to name a few. The vision for DDTCOM is big as from the onset it set out to educate for the globe in line with its motto of educating for global success. This motto has enabled us to set up global partnerships that are keeping quality assurance of the medical college to be at par with the best in the world. The leaning has been heavily on the USA system which DDT has quality assuring and mentoring institutions from. One of the College’s principal advisors who was the Guest speaker at the 2017 White Coat Ceremony was Associate Professor James Shepherd (MD PhD) of Yale University, a physician and researcher with global experience in diverse capacities. DDTCOM is offering many programs, most of which have never been offered locally in Botswana, yet elsewhere where they are offered, they are still in short supply. DDTCOM from the onset set to take this big undertaking of solving big problems in the health and education sector to bring out the best medical professionals and supply them not only to the Botswana market where it was founded, but to the diaspora, being the SADC region but also globally. Annual researches from the World Health Organization show the global need for medical professionals keeps on increasing and this year stands at a whooping 7 million; a massive problem and insurmountable to some, and DDTCOM jumped to help knowing every little helps. We are now experiencing interest into our programs from the diaspora from countries like Lesotho, Namibia, South Africa, Malawi to name a few; the Middle East from countries such as Iraq and also Europe. This is gratifying and challenging at the same time to keep us at the top of our game to educate and service mankind. DDTCOM has a mantra of “Only the Top” meaning we only Take Top Students, Top Lecturers and Professors to Release Top Graduates with Top Results. This commitment to Only The Top is directing our strategic path that will ultimately elevate the quality of healthcare wherever these DDTCOM graduates serve. We have renowned local lecturers and visiting professors from diverse places such as USA, UK, Canada and India, and diaspora being RSA, Malawi, Zimbabwe, Uganda to name a few. Many of these professors are leaders in medical education and research in diverse fields. We are curtailing our examinations to international standards with leaning heavily on the US system of board examinations which we urge our graduates to take. This makes the DDTCOM graduate to start as a national citizen and graduate as an international citizen with their qualifications recognized globally. In line with Only The Top tenet, DDTCOM is working on several programs’ curricula to introduce them to the already existing programs. At least 10 new programs are anticipated to be introduced, both at Bachelors degree and Masters Degree levels. Some are specialties of programs already being offered, whereas some are to give opportunity to cadres/professions that had no specializations nearby, thus giving them opportunity. It is definitely and exciting time that I urge continually checking our website for the latest developments in DDTCOM that can impact your life and that of someone else positively. In line with its vision To Be the Leading Innovative University in Modern Medicine and Research Globally, DDTCOM from the onset set its renowned Research, Innovation and Product Development (RIPD) Faculty that had a focus on ‘practical’ research. We determined to not only focus on research for the sake of publishing in peer reviewed journals, but also and mainly to bring tangible changes to people’s lives through developing products. We aspired to have research as a solution to day to day living of people. To this end, a big section of our research is on product development. We have engaged folklore knowledge enthusiasts and traditional healers who have brought in many of their products that they give their patients for us to test, assess, determine and manipulate for safety and efficacy for human consumption. We have already seen products that are bactericidal, bacteriostatic, viricidal, generally antimicrobial in vitro. RIPD is also experimenting with other plants, roots etc it acquires in specific areas around the country with intent to eventually produce pharmaceutical products that would have come from indigenous knowledge. Many partners have come to assist in this endeavor seeing its potential. On product development, there are already diverse products being produced that are now being assessed for safety and efficacy by bureaus of standards for licensing. These include bathing soaps, medicinal soaps, powdered soaps, industrial soaps, cosmetics as in lip balms for sensitive skins, lotions with UV protection and skin protective effects, toothpastes to name a few. We have already attracted interest in industry that want to then produce these products for commercial benefit. In this way DDTCOM is using research to produce industries with commercial benefit for helping mankind and elevate quality of life. You, the potential student, business person, member of the community, traditional healer, folklore expert, do come, be part and experience the DDT College of Medicine experience, become a part of the solution makers, who are at the edge of medical knowledge and assist mankind in their most vulnerable state of ill-health, which in essence is what we are here for. By being part of the innovative and technosavvy culture of DDTCOM, you only do not come to learn, but you also now add on to the knowledge of your field, progressing mankind to unbelievably high levels. With Jesus Christ still tarrying, it is the least we need to do for ourselves and our fellow mankind.